This past week went pretty well! We managed to help someone else enter the waters of baptism yesterday and it was awesome, because she was just as excited as we were. Her name is Ryann Davis and she is 13, and she has a huge desire to serve God and become a part of His group. She will be getting confirmed this coming Sunday, but it is all good because the group of Young Women that she gets to be a part of are excited to have her in their class; they even did everything for the program too which was awesome, because that shows her that she is completely accepted by all of them. She has been a huge influence in all of this for her mom who is a less-active member of the church. Her mom looks so much happier than she did before we came over and taught Ryann. She has been on board supporting her all the way so that was a huge part of it too, because it has engaged her more in everything that goes on with church. So, once we get more fellowship from the ward for them then they will have that continuous support that will continue to encourage the mom to go back to church. I know that is talking a whole lot about a baptism, but truth is that when I first got here things were not going too well! It looked almost as if things were starting to go downhill, but since Elder Mason and I have been together I have made it a point to go by and put our faces out everywhere (I know, that doesn’t sound like me at all), and get to know everyone. I truly am excited to be here and sharing that with everyone gets them excited too because they feel as if they have a purpose in all of this; that also leads to them trusting us and also them being more open to helping out. Elder Mason and I are trying to get everything in order because things weren’t really running the way that they should have as far as work and scheduling goes. That has been most of it along with many of the members not having any trust in the missionaries because of past experiences with them, so slowly gaining that back has helped a ton. 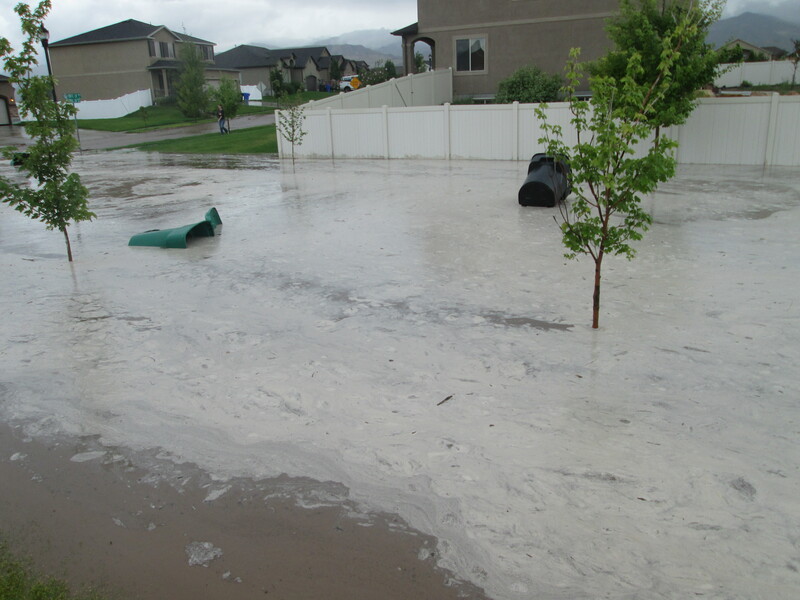 Utah has been getting a lot of rain lately and actually on Saturday we had flood warnings too. We went over to one of our areas in our stake and there was literally a swimming pool of water with trash cans everywhere and multiple people out capturing the moment and probably Tweeting it or putting it on Facebook, because it probably doesn’t happen that often here if at all. I got some photos and a video too, but I don’t think that the computers we use will allow us to upload the videos but I can at least share the photos. We have been trying to get our schedule in order so that we can do everything, so if it seems like everything is being flip flopped every week I apologize. That is about it from here but I hope that everything is doing well back home. I Miss and Love all of Y’all so take care of yourselves! PS: I would love to have updates on the Longhorns, Nick Foles & Baylor, &Texans Thank You!